'test' is a class here, and the pid you tried to pass it is actually the class it is inheriting from. 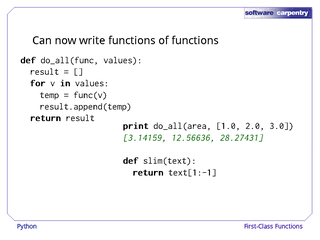 I think you wanted to do: def test(pid):... Also, in order to call a function without arguments you still need to... How to call python function from QWeb Report If you want to call a python function from the QWeb report you will need to create a custom parser for the report. In the parser, you will need to add the function as an argument in the render method. How to call python function from QWeb Report If you want to call a python function from the QWeb report you will need to create a custom parser for the report. In the parser, you will need to add the function as an argument in the render method.